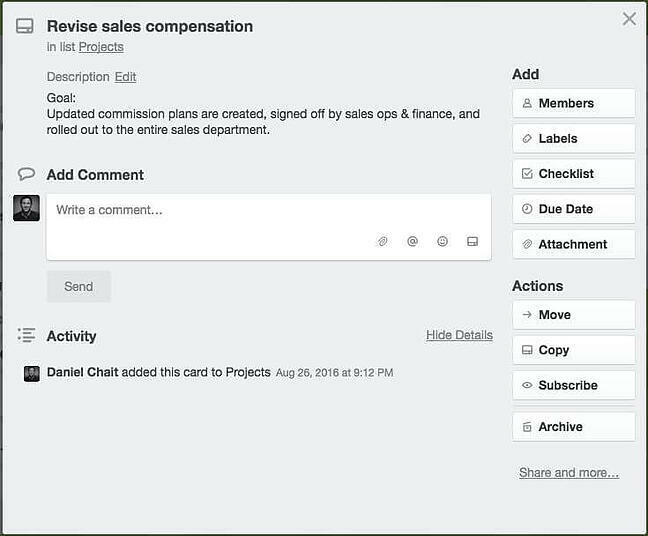 A tutorial on adapting David Allen's Getting Things Done using a Trello board, by the CEO of Greenhouse. Every once in awhile, you stumble on a combination of things that go so well together, you wonder how you ever had one without the other, like peanut butter and chocolate. 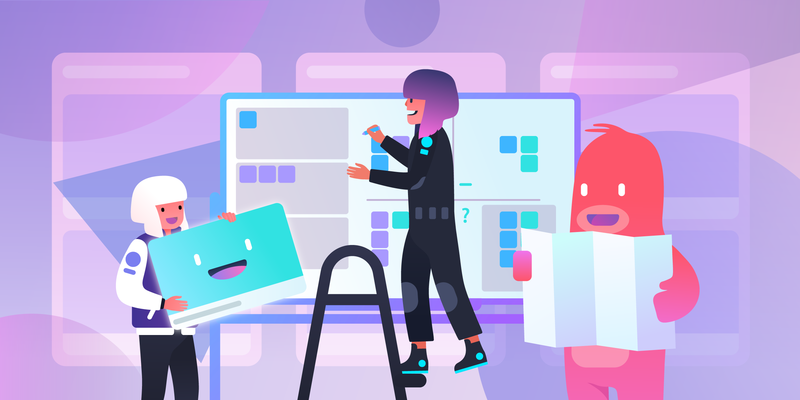 Trello and Getting Things Done are like that—two great ideas that complement each other perfectly! What Is The ‘Getting Things Done’ Framework?  “Getting Things Done” (often abbreviated as GTD) is a popular and effective method for work and time management. Laid out by productivity consultant David Allen in a 2001 bestseller, GTD has developed a cult following. Being a habitual procrastinator myself (who has always struggled with focus and prioritization), I found GTD incredibly compelling and relevant to how I work. If you aren’t already familiar with Getting Things Done I recommend reading Allen’s book. 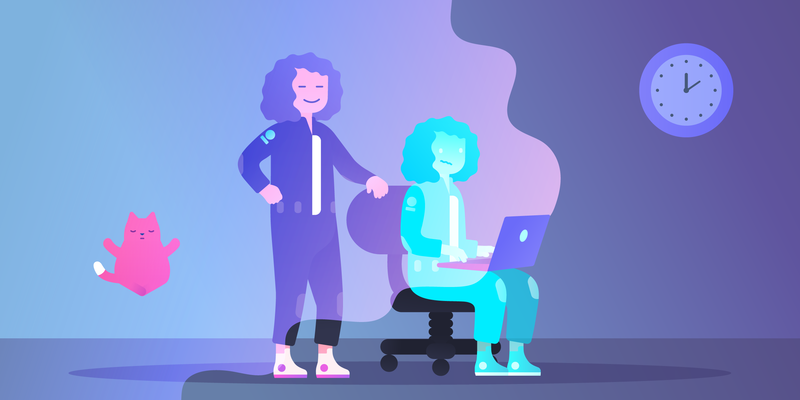 The key part of GTD that I wanted to implement was having a clear protocol for how to get all the stuff I needed to take care of out of my head and into an organized place where I could avoid distraction and focus on execution. In GTD terminology, these are the “Collect,” “Process,” and “Organize” stages. GTD on its own is simply a set of ideas laid out in a book. It’s not actually a piece of software or anything else tangible. For many years I didn’t find a good system for actually implementing it. I tried Notepad, Microsoft OneNote, Things, and many other software tools, none of which really succeeded in helping me work according to the GTD system. 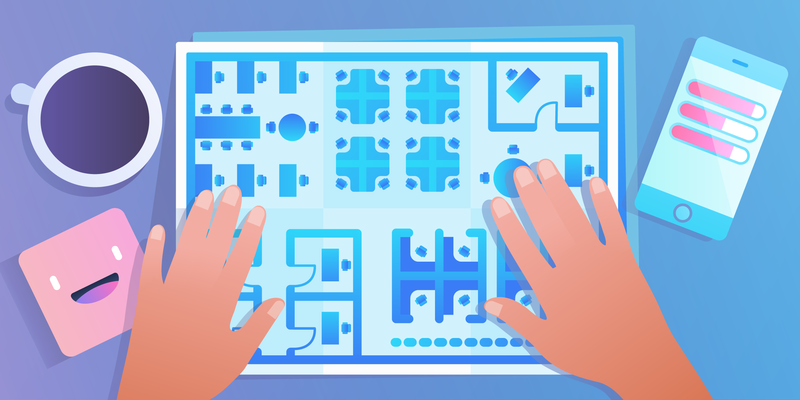 Then, one day, along came Trello! 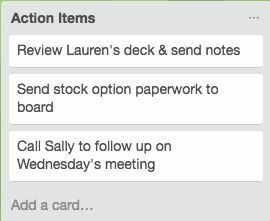 I discovered how to make Trello line up perfectly to power my GTD workflow and have been addicted ever since. 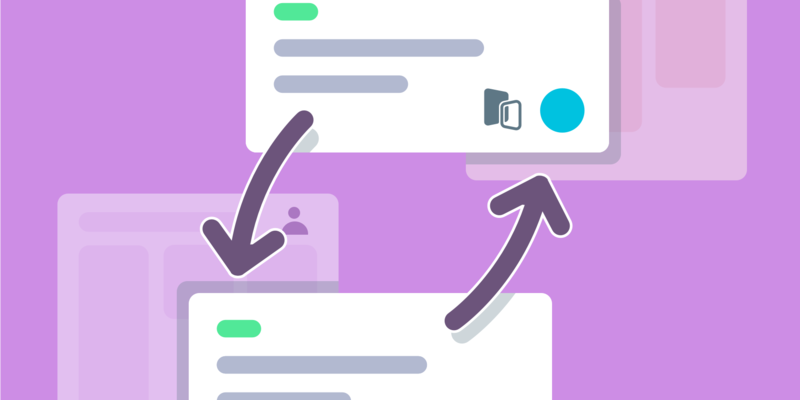 I find Trello is especially useful for the “Collect,” “Process,” and “Organize” phases, so I’ll go into a bit more detail about each of these steps and how I use Trello to account for them. This step is pretty straightforward: It’s all about making sure I capture all the ideas that come to me throughout the day. Whether it’s a question I think of during my commute, a passing conversation I have with an employee, or an email from a customer, I need to make sure that I document it as soon as possible so that it’s not lost. As long as the stuff gets out of my head and into the Inbox, I know I won’t lose track of it, and will review it more closely later when I have time to Process and Organize. 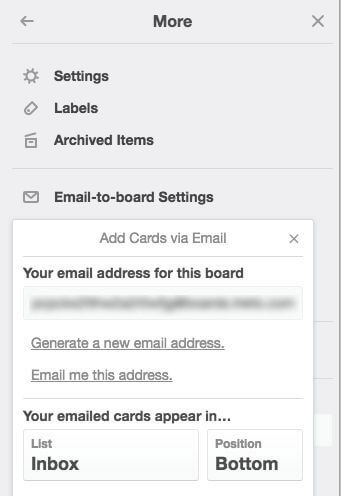 The email-to-board feature allows you to create a custom email address for any board, and whenever an email is sent to that address, Trello creates a card automatically in your designated board and list. You can add any information or images you want. 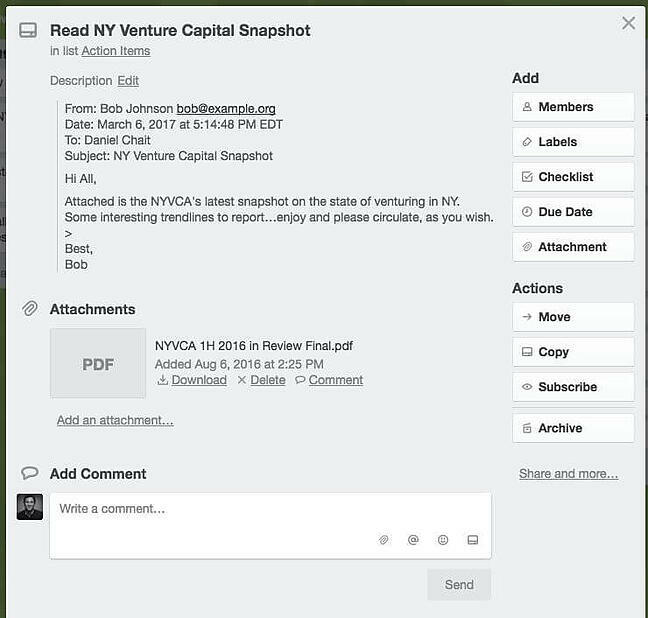 When I’m on the subway or standing in line at a food truck and a great idea comes to me, I simply shoot off an email to my Trello board and the card is Collected in my Inbox, waiting to be Processed. 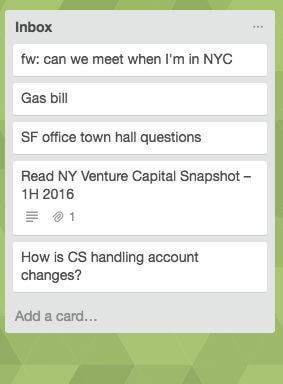 A lot of this ideation is done from the Trello mobile app. If I have a few minutes of downtime but I’m away from my desk, I can still look through my board and easily create a card, make notes, move things around, etc. Collecting ideas, as I outlined in the previous section, is all about efficiency on the go. I just want to capture the essence of the problem or question so that I’ll have enough information to reflect on when I come to the “processing” stage later on. 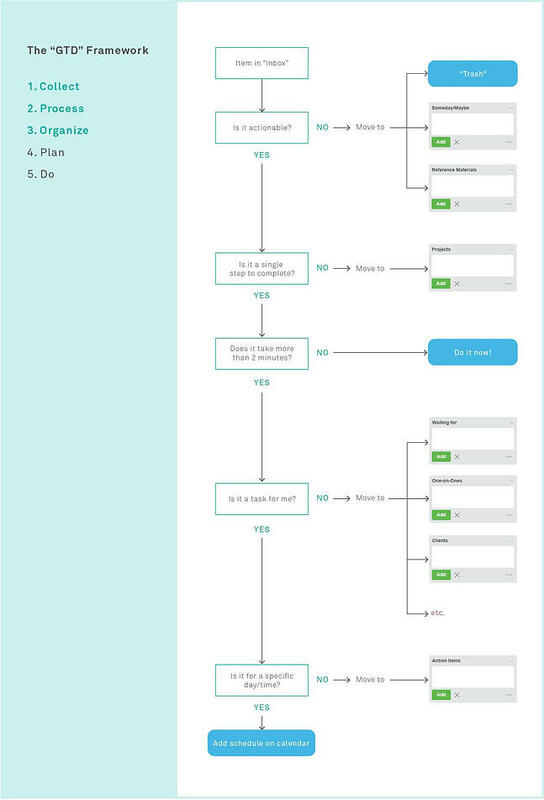 During the processing stage, just as the GTD method prescribes, the idea is to go through each of the items in the Inbox and figure out whether anything needs to be done, and if so, what, when, and by whom. The goal is to get through all the “stuff” in the inbox, and leave only actions (for myself or others) which I can then act on during my “Do” time. So first of all, if the stuff is “Not actionable,” I can either trash it (that one’s pretty straightforward) or add it to my list of “reference material.” In Trello, I use the “Archive” button to trash a card that needs no further follow up, and a column called “Reference Materials” for anything I may want to access later. One easy move, and that book recommendation is now saved in a handy location. Someday, like when I’m taking a trip or doing spring cleaning, I look through my Reference Materials and find interesting stuff to dig into further. Most of the time, however,, it’s out of my daily life, not cluttering up my mind, and safely put away where it can’t distract me. On the other hand, if it is actionable, then it’s time to figure out what the nature of the action is, who needs to handle it, and when. 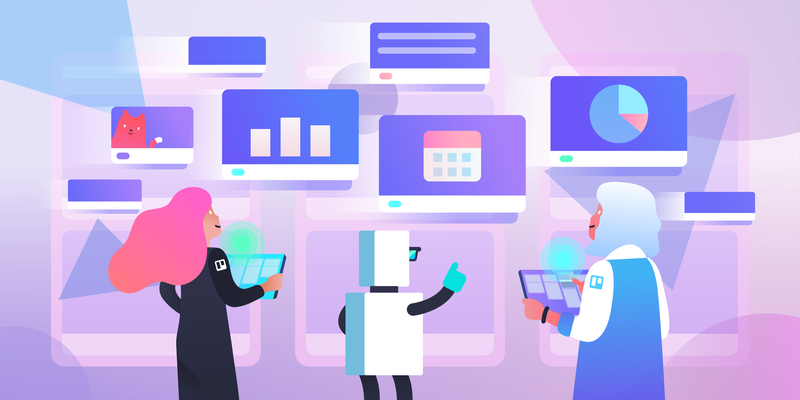 If an actionable item cannot be completed in a single step, GTD considers that a “Project.” Projects might be vast (such as “Re-organize the sales department”) or small (“Plan my vacation”). Do I still need this project? If it’s done, I can archive the card. Is there an action item? If not, figure out what needs to happen next and create the right action card (in my “Action items” column). Or if I’m waiting for someone else (below you’ll see how I note that), I can check in with that person to see how they are progressing and help move the project forward. More than two minutes to complete? Simply put, if the answer is “No,” then per GTD, I just do it right now! Then you can archive the card and move on with your day. It feels great to dispatch little stuff that way and never have to think about it again. 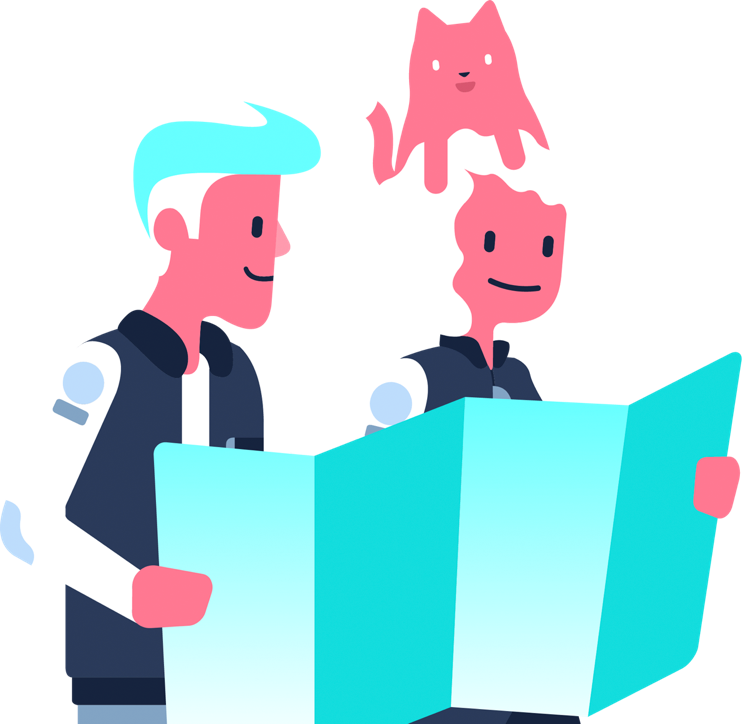 This is great for things like replying to quick inquiries, paying a bill online, and so forth. If the answer is “Yes,” then it’s time to assign a person and time to complete it. Is the item for me? Some items get in your inbox, but actually are not for you to do. For example, I might have an item for “Review Quarterly Financials,” which is something that will happen only once the finance team wraps up the quarter and sends it out. So in this case the next action is for the finance team, not for me. If something is to be done by someone else, I create a “Waiting For” card and put it in the “Waiting For” list. In any “Waiting For” card, I put who I am waiting for right in the card itself; when I review these weekly I know who this item depends on, and if need be, I can follow up with them to check on it. Now, finally, we’re down to items that are actionable, a single step, take no more than two minutes, and are assigned to me. The last thing I need to know is, does it need to be done at a specific time or not? 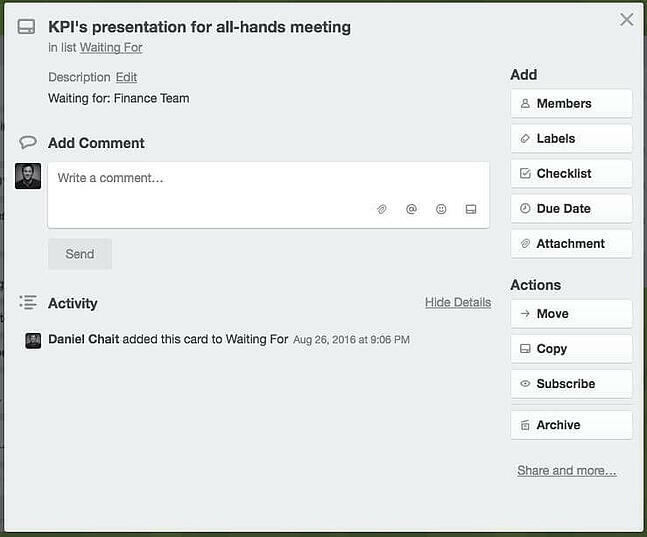 An example of something that needs to be done at a specific time might be, “Attend June 17th Board Meeting.” Note: Something like “Prepare June Board Presentation” does not need to be done at a specific time—it may need to be done by a specific time (specifically, before the board meeting)—but within your set of priorities and available working time, it can be done whenever. If something is to be done at a specific time, the place for that is not in Trello at all, but rather, on my calendar. For my working day, I use my calendar to help me stay in the right place at the right time. On the other hand, if the item does not need to be done at a specific day or time, it belongs as an Action Item. In GTD terms, this means the item is ready to be done whenever you are finished with your “Planning” and are in the right context to “Do” work. For these, I use the “Action Items” list, which contains pre-digested, pre-planned chunks that I can work through efficiently without being distracted by the need to do any collection or processing. When I read Getting Things Done I was compelled by the ideas. Before Trello, however, I found myself struggling with a bunch of systems and software, none of which really worked for me. 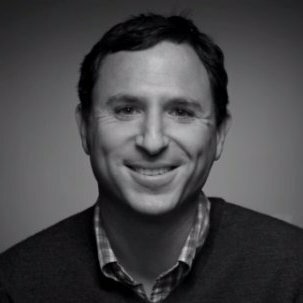 If you’re interested in the GTD idea but have struggled to make it work, I encourage you to try it out. 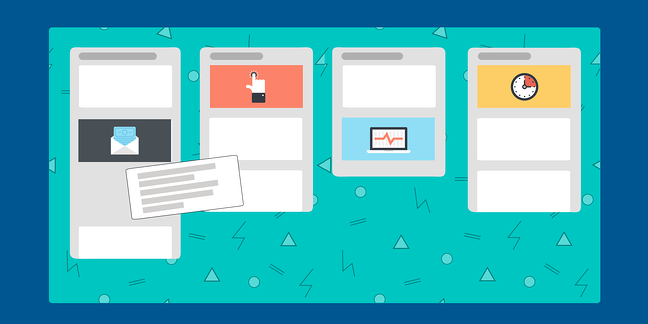 Implementing GTD using Trello helps me stay organized and avoid distractions. The exact way I’ve done it might not perfect for you; perhaps you have some tweaks that match your particular workflow or style. If you try it out and have a different spin or ideas for improvement, I’d love to hear from you—please feel free to give your take in the comments!